This bi-annual competition for organ playing is open to all Junior Members of the University. 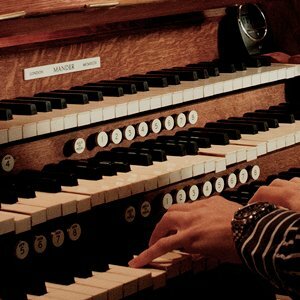 Entrants are required to play two pieces of organ music, selected prior to each competition by the Adjudicators, on the St John’s College Organ. Brian Runnett was born in Tyldesley, Lancashire in 1935, and he was a Lancashire County Scholar in Music at the Matthay School of Music, Liverpool, from 1950 to 1955 before becoming Assistant Organist at Chester Cathedral. In 1960 he was appointed Organ Scholar at St John’s, having already taken the degree of BMus at Durham University. His first professional appointment on leaving Cambridge was that of Lecturer in Music and Organist of Manchester University, moving to Norwich Cathedral in 1967 to become Organist and Master of the Choristers. Brian Runnett was tragically killed in a road accident near Lichfield in August 1970, and this Prize has been established in his memory. For information about the Brian Runnett Prize Competition 2019, please click here . The next Competition will take place in 2021, further details will be published here in the Michaelmas Term 2020.